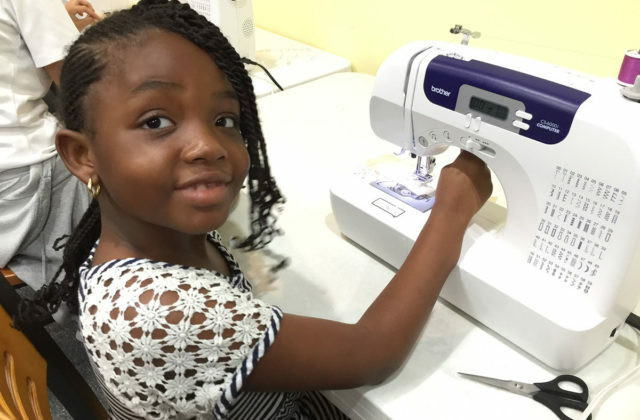 Since 2015, the Creativity Shell has been partnering with Public Libraries across the Houston area to offer our dynamic sewing/textile arts classes for students in grades 3 – 12. Funding from people in the community has made this possible and we continue to ask for your help. By donating to the Sewing/Textile Arts in Public Libraries Campaign, you are helping to provide sewing/textile arts classes in libraries for children in need.